Dr. Berlin is board certified in foot surgery and enjoys all aspects of foot and ankle care. Dr. Berlin attended William & Mary for undergrad and majored in chemisty and mathematics. 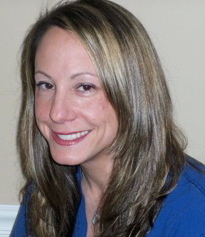 She graduated from Temple University School of Podiatric Medicine in 2002 and completed training at Frankford Hospital trauma center, part of Thomas Jefferson University. Dr. Berlin welcomed her first child, a son she named Paul, in August 2013. Hobbies include being a Mommy, pilates, yoga, biking, kickboxing, and triathlons. Recent athletic achievements include completing the 2016 New Jersey state Triathlon. Keeping people active and on their feet is important! Dr. Michael Banh specializes in podiatric medicine and surgery. He graduated from California State University with a Bachelor of Science majoring in Cellular and Developmental Biology with a minor in Chemistry. Dr. Banh earned his degree in Doctor of Podiatric Medicine from Kent State University, College of Podiatric Medicine. He completed his three-year surgical residency as chief resident at Southwestern Vermont Medical Center, Bennington, VT where he specialized in podiatric medicine and surgery with the added credential in reconstructive rearfoot/ankle surgery. He currently holds hospital privileges at Kennedy Health in New Jersey. Dr. Michael Banh is Board Certified by the American Board of Podiatric Medicine and currently holds a Diplomate status. 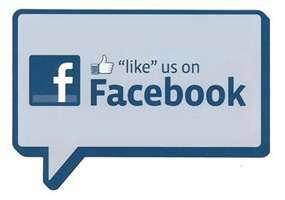 Dr. Banh is also certified by the American College of Foot & Ankle Orthopedics & Medicine and currently holds a Fellow status. Dr. Michael Banh is a compassionate physician and understands the importance of keeping his patients on their feet. He recognizes that every patient’s problems are unique and his treatments are tailored to fit each individual’s lifestyle. 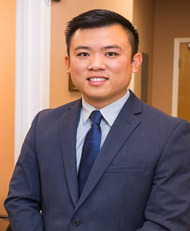 Along with his surgical training, Dr. Banh is also experienced in wound care management, treating biomechanical/musculoskeletal issues with bracing and orthotics, sports injuries, and diabetic foot care. In his free time, Dr. Banh enjoys the outdoors, fishing, hiking, and staying active. He enjoys volunteering his free time and his most valuable experience was his involvement as the Pharmacy Coordinator for Flying Samaritans for 3 years, where he helped operate a free medical clinic at El Hongo, Mexico. 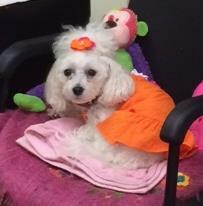 Current patients are well aware that Dr. Berlin's teacup Maltipoo, Chloe, is the life of the office and very helpful. She never misses a day of work and she does her best to ease all concerns and make everyone feel welcomed. You can be sure that you will be greeted with a warm, happy bark and a wag of her tail upon your arrival!